GetSet is the Belbin Report designed especially for students who have not had experience in the workplace yet. As one grows in an organisation, one moves from being an individual contributor to one who is responsible for the performance of his/her team of people. Get your students future ready. A critical skill that indviduals need to develop is the skill of Collaboration. Belbin gives students the framework to identify their strengths and practise and inculcate this skill of collaboration in college while they work in teams. Belbin gives students the language to identify their strengths, leverage the same and the tool to practise the key skill of collaboration such that it becomes a part of their Work Style right from college/ university. 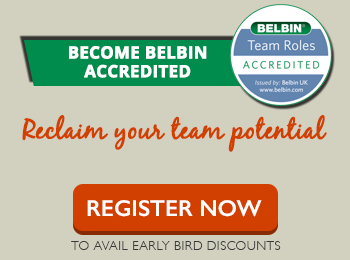 A Belbin Report will identify which combination of the nine Team Role behaviours you prefer. The Belbin GetSet Report has been especially designed for those with little or no work experience allowing you to put the Belbin theory into practice. The GetSet reports contain personalised guidance and advice based on your current Team Role preference to help you maximise your strengths in college and also get set to excel at work. Individuals about to embark on a work placement eg summer placement.